With 21 categories for the awards this year, you can choose from one of the Individual Awards or from one the Team Awards. View all the categories below. This award will go to the woman, who has been in the role for less than two years and whose achievements, energy, ambition and spirit represent the positive future of the organisation she works for and the compliance community. This award is open to female lawyers in private practice law firms who has been in the role for less than five years and is not a partner. The award will go the woman whose enthusiasm and achievement contributed to the success of the firm’s compliance work and services. Demonstrating ability to effectively understand clients’ compliance needs and showing subject matter expertise as expected by the firm in her role are an advantage. Submitting testimonials from at least two clients can make a difference to your entry. Open to all female compliance officers within a small-medium sized company that employs up to 249 employees. This award will go to the woman, whose achievements, dynamism and abilities have been recognised as above and beyond expectations and who has demonstrated qualities that have put her at the forefront of the compliance community. Open to all female compliance officers within a large company that employs 250 employees or more. This award will go to the woman, whose achievements, dynamism and abilities have been recognised as above and beyond expectations and who has demonstrated qualities that have put her at the forefront of the compliance community. Open to all senior female compliance officers within a small-medium sized company that employs up to 249 employees. This award will go to the woman, whose achievements, dynamism and abilities have been recognised by peers as exceptional and who has demonstrated superior leadership qualities that have put her at the forefront of the compliance community. Open to all senior female compliance officers within a Large company that employs 250 employees or more. This award will go to the woman, whose achievements, dynamism and abilities have been recognised by peers as exceeding expectations and who has demonstrated superior leadership qualities that that have put her at the forefront of the compliance community. This category recognises and rewards a woman, at any professional level, who has made a pioneering contribution either evolutionary or revolutionary to the field of compliance. To be considered, the Innovator of the Year will be judged on either a new idea, device, method, process, programme or scheme and an expert panel will review supporting materials submitted by the successful shortlisted. These supporting materials will provide details of innovations, pioneering initiatives and relevant testimonials. The award will go to the woman, whose initiative and entrepreneurial skills have transformed and helped improve compliance best practices within her business. Open to all female compliance officers or equivalent function within a not-for-profit organisation* regardless of its size and location. The award will go to the woman, whose achievements, dynamism and abilities have been recognised as above and beyond expectations and who has demonstrated leadership qualities in leading compliance awareness within the organisation and showed commitment in maintaining the organisation compliant with internal policies, international laws as well as other special requirements and standards related to the sectors in which they operate. (*) For the purpose if this Awards entities that have substantial funding from the government or NGOs are not eligible. This award is open to all female anti-trust/competition lawyer from law firms or corporations regardless of their location who either provides or implements best strategies in competition compliance, competition disputes and in regulatory investigations or other relevant anti-trust/completion matters. 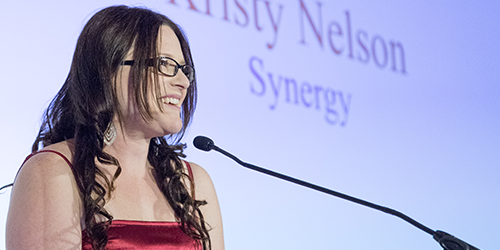 The award will go to the woman, whose achievements, dynamism and abilities have been recognised by peers as outstanding and who has demonstrated superior leadership qualities that have put her at the forefront of the anti-trust and competition community. Submitting testimonials from at least two clients can make a difference to your entry. This award is open to female lawyers in private practice law firms doing compliance work and will go the woman that has been recognised as providing outstanding advice for the firm’s clients in the compliance sectors. The award will go to the woman, whose enthusiasm and subject matter expertise, has demonstrated and maintained passion for client-delivery and ability to translate legal requirements into well-crafted compliance policies and procedures. Submitting testimonials from at least two clients can make a difference to your entry. Open to all female data protection offer, data privacy officer or with the same function and responsibilities within any organisation that processes or stores large amounts of personal data. This award will go to the woman, whose achievements, enthusiasm and abilities have been recognised by peers as outstanding and who has demonstrated enterprise data protection risk management leadership qualities in her role that have put her and the organisation in the position to demonstrate compliance with Data Protection and Privacy requirements at all time. Open to female employees in non-legal and non-compliance departments in any organisation who are first line of compliance people on the ground. The award will go to the woman, whose achievements, dynamism and abilities to effectively respond to compliance queries and escalate any problem to the Compliance Department, has been recognised by her peers as an outstanding contributor to fostering a culture of compliance in her organisation. 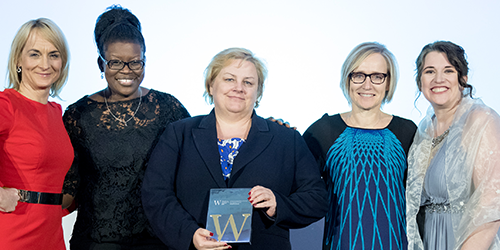 This award is open to all individuals – women and men – who have helped, inspired, guided and who has had a positive impact on the personal and professional development of other women in compliance. If you have benefited from such support, please nominate that female mentor by demonstrating how her advice, support have made a real difference to your or other women’s career, from applying for any job position, to taking high-level strategic decisions. This award is open to women regardless of their location. It is awarded to the most influential woman in the industry, who throughout their career has shown dedication and commitment to influence the advancement of the Compliance Community. Open to all senior female export controls/sanctions officers form corporations regardless of their size and location. This award will go to the woman, whose achievements, dynamism and abilities have been recognised by peers as exceptional and who has demonstrated superior leadership qualities that have put her at the forefront of the export controls and sanctions compliance community. This will be awarded to the team – in a non-regulated industry – which is led by a woman or can demonstrate that the women on the team contribute significantly to the team’s overall success, showing the general strength, abilities and business focus of the compliance team. Open to the Financial Crime Team of businesses that operate in a regulated industry and whose responsibilities and specialities may include AML, Sanctions, Fraud, Anti-corruption and Bribery, related investigations or other relevant compliance matters. This award will go to the team which is led by a woman or can demonstrate that the women on the team contribute significantly to the team’s overall success, showing the overall strength, abilities and business focus of the compliance team. This award will go the team either led by a woman or where the law firm can demonstrate that the women on the team contribute significantly to the team’s overall success in providing outstanding instances of legal advice in the compliance and regulatory sectors. Submitting testimonials from at least two clients can make a difference to your entry. This award will go to a law firm or company in which a woman with legal, compliance, internal auditor, finance or risk background – has played a crucial role in securing a positive result for the client, either in preventing fraud/corruption issues or dealing with an investigation. To enter this category as a firm providing services in fraud and corruption. Submitting testimonials from at least two clients can make a difference to your entry. This award is open to all providers of compliance consulting services, where the team is led by a woman or can demonstrate that the women on the team contribute significantly to the team’s overall success. Nominations are accepted from teams within consultancies, individuals, partners and clients of consulting firms. Any size of firm may enter, from any jurisdiction and any relevant discipline. Please submit examples of advice given, quantifying the success of this advice and explaining the extent to which this helped clients. Submitting testimonials from at least two clients can make a difference to your entry. This award is open to all law firms regardless of their location. The award will go the team either led by a woman or where the law firm can demonstrate that the women on the team contribute significantly to the team’s overall success in providing outstanding advice global trade and customs compliance for global importers and exporters. Submitting testimonials from at least two clients can make a difference to your entry.